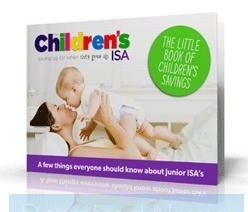 The Children’s ISA was the first to launch the UK’s first Shariah junior ISA when the new tax-free savings investments became available in November 2011. Backed by Scottish Widows Investment Partnerships, the Children’s ISA Shariah model means investments are made under strict Shariah Law and Islamic investment guidelines allowing Muslims to also take advantage of the junior ISA scheme. “With the cost of university fees and concerns that many of our children will be unable to own their own homes, junior ISAs are a great way to save at no risk and get tax savings,” said David Dawson, Savings Director from the Children’s ISA. The Shariah model invests in companies on the Dow Jones Islamic Stock Index and investments are also screened through The Shariah Advisory Board, ensuring they meet the strictest ethical investment principles. Why choose Scottish Widows Investment Partnership for Shariah investing? Apart from the fact that SWIP, a major global investor, is one of the UK’s largest asset management companies, with £146.1 billion of funds under management, they have also created a framework for supporting investment according to Shariah principles. This consists of a disciplined screening process designed to exclude non-compliant equities and an advisory board to rule on the suitability of individual investment ideas. non-Islamically structured banking, finance, investment or life insurance business, or any other interest related activity. cash plus accounts receivables plus interest bearing assets shall not exceed 30% of the company’s adjusted total assets. Each company shall be comprised of 51% non-liquid assets. access to SWIP’s global investment expertise. Recent reports* have found that Shariah investments can net on average between 10-15% growth but just 5% growth over 18 years using the full £3,600 allowance can net £115,000. – a substantial pot of money that will fund more than just their time at university. As of 5th April 2013 the limit has risen to £3,720. Please note that both Muslims and non-Muslims can invest in Islamic finance. I want to transfer 2 child trust fund to junior ISA.